In a previous post we revealed some fees that may be lurking in an HSA. In this post we’ll go a step beyond and explore what fees reveal about your HSA provider and their motivations. Are fees allowing your employee’s more or less accessibility to investments? What are the friction points your employees are facing when trying to invest their HSA dollars? Friction is caused by the degree of difficulty to access HSA investments, which could be in terms of excess fees, non-integrated trading platforms, unnecessary forms, or other red tape. 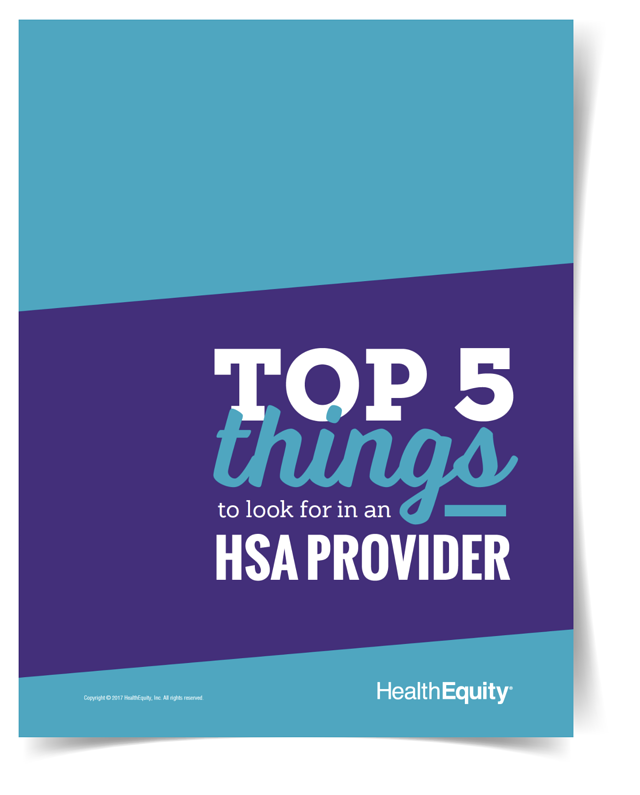 The easier it is for your employees to invest their HSA is an indication of a provider’s understanding of and alignment with your employee’s long-term HSA investment success. A platform fee is a fee charged for access to a third party’s investment management platform. Before your employee’s invest a single HSA dollar, they are charged a fee. Check statements and ask the plan administrator if there is a platform fee for HSA investing. If the provider were truly interested in the long-term success of your employee’s HSAs they would offer an integrated solution that allow your employees a singular platform for all HSA needs from contributions to spending and investing. Outsourcing this to a third party and collecting a fee for doing so is just bad business. 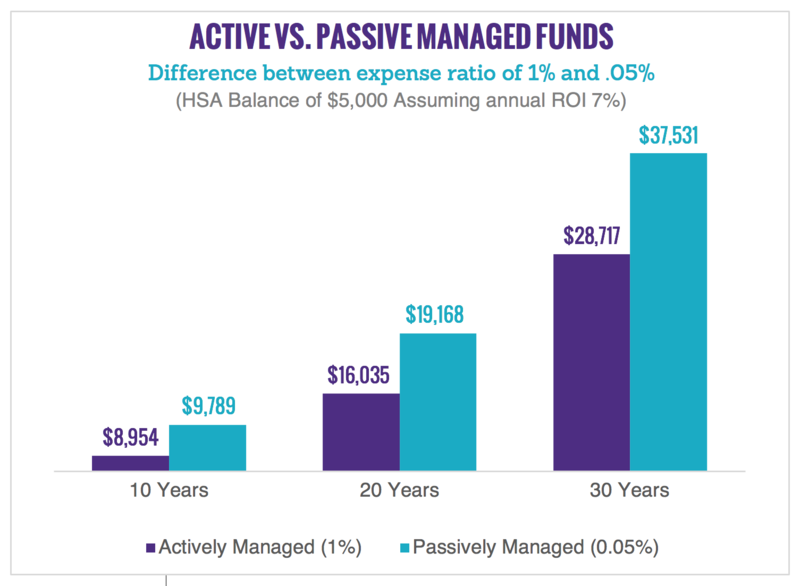 The most widely used investment product for HSAs is mutual funds. These funds have an expense ratio, which is a fee for running the operations of the fund. These funds can be actively managed by a fund manager, or passively managed, tracking an index like the S&P 500. If a provider cares about the long-term success of your employee’s investments, why not offer options that offer the greatest potential for success with the lowest possible fees? An investment lineup of primarily actively managed funds sends a message that they are not interested in long-term success of the investments. More than 90% of actively managed funds underperformed S&P 500, over a 15-year period and charge a higher expense ratio to lose more of your employee’s hard-earned money. A provider that truly has your employee’s interest in mind will offer investment options with the greatest possibility of success for the lowest fees possible. 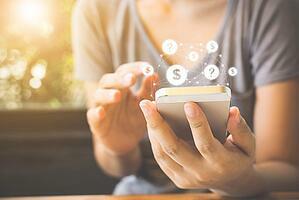 Transaction fees are fees charged on the buy or sell of an investment. Most providers allow investments of HSA dollars into stocks, bonds and mutual funds for the opportunity of potential growth over time. That growth is staggered when charged a fee on every buy or sell an investment. Charging fees on investment transactions is yet another friction point for your employees to invest their HSA dollars. Instead of allowing them easy free access to investments, a provider that charges a $4.95 commission on a stock trade, for instance, sends a clear message that they are more interested in fee revenue than in the long-term success of your employee’s investments. This is a clear indication that they are not motivated to help your employee’s make a smooth transition from a spending account to an investment account in their health and wealth journey. One of the greatest detriments to a family’s ability to build health and wealth is fees. Where the HSA provider places those fees tells you a lot about their view of the employers they service what their motivation is, and if they are truly working for you. If their fees create friction for your employees to invest their HSA, that is a red flag. Your employees are worth it. They deserve an unobstructed, friction free environment to invest their hard-earned HSA dollars to experience the greatest potential for success over the long-term. Allowing them to invest their funds requires a provider that is on their side. Finding that provider will be one of the greatest decisions you’ll ever make, one that will help progress your employee’s health and wealth journey over time. * The examples provided are hypothetical. Results will vary and may not be representative of the experiences of others.